For the past few weeks Sports Interactive have been slowly releasing videos of core new features that we’ll encounter in Football Manager 2018. Releasing on the 10th of November, this new iteration is looking to be the most complete experience yet. Two weeks ago the new ‘Dynamics’ feature was revealed. One thing certainly true of the beautiful game is that the locker room is a fractious place to manage. Countless managers have illustrated that point, even some of the best in the world like Jose Mourinho in his last stint at Chelsea. Dynamics looks to bring this to life in three major areas: Team cohesion, Atmosphere within the dressing room and the support you have from the team. As with a real team, you will have a hierarchy of players based on their influence. Keeping the most influential players on your side can be the core thing that keeps the rest of the players on your side. Lose them and you could suddenly have a mutiny of sorts, directly impacting on squad cohesion and results in matches. A huge number of factors will impact on your squad cohesion, from nationality, languages, age, time at the club and even more. Each factor places a player in a social group and ensuring you keep these groups onside, much like the influential players, will be key to your career as manager. What the Dynamics system seems to promote is what Football Manager has always been good at, emergent storytelling. This should take it to the next level as player personalities will have an even larger impact than ever before. Scouting has always been a fundamental part of Football Manager. This is probably as true in the fact that certain clubs, Everton as an example, have used the Football Manager database in their own scouting of players. In the past scouting has been a mixed bag for the series. It’s never been the most detailed part of the game but has always been critical. In Football Manager 2018 scouting has gone to the next level in realism, putting scouts as a focus. Scouts develop their knowledge of players over time and, new to the series, rate them out of 100 based on their suitability for your team. This rating will change as your scouts knowledge grows. Also new to the series is giving scouting a dedicated budget. This directly impacts your money available for other aspects of your club. With this also comes a focus on scouting in both general and short-term. General scouting gives an outline of a sort of player you want to sign. For example, you may simply want to sign creative players. This has your scouts searching for this idea of a player indefinitely. Short term scouting, on the other hand, overrules general scouting. You pick exactly what you’re looking for and all of your scouts will dedicate themselves to this quick search. Data Analysts, which I briefly mentioned in my review of Football Manager 2017, also have a more important role. Rather than offering general and vague reports, these can now be tasked to watch specific players. These then can be used to build a better picture of other teams players and also your own. Letting you see players who would be brilliant to bring in or those who you may need to move on. Like Data Analysts, Sports Scientists were new to the series in last years iteration. Also like Data Analysts, they weren’t the most useful staff members. You could see what reports they offered, but how they actually impacted your team was vague at best. This has completely changed. Now, with the inclusion of the medical center, you can see more information on your injuries. Ranging from the history of injuries, the cause of injuries and even the means of risk assessing injuries. From the workload of your players, to specific body parts that encounter more injuries than others, you’ll be able to assess where exactly problems are coming from. You’ll also be able to judge your injury record to other teams in the league. In addition, be able to look at how injury prone certain players are and if their injury record is improving or getting worse. This will reduce the randomness of injuries within the game, which has always been a problem. 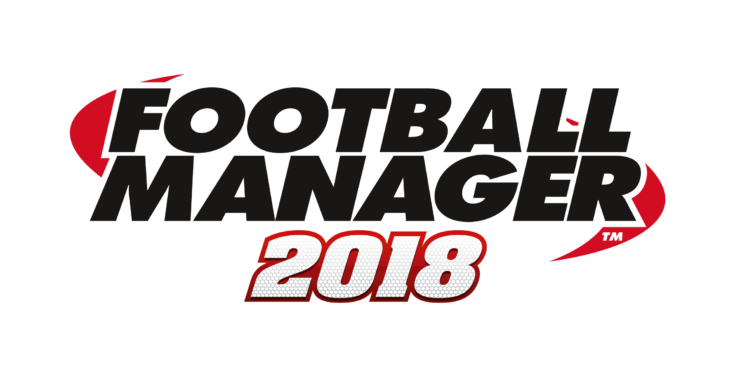 Most of all, like with all features, it aims to increase the realism of Football Manager 2018. Sports Interactive are owned by SEGA. Also owned by SEGA are Creative Assembly. It was a great idea, then, that both have worked together to improve the graphics engine. What this has allowed is a larger variety of appearances of players within the match engine, adding to the authenticity of the game. As well as this, the stadiums have also seen a vast improvement from previous games. There’s a lot more variety in the stadiums in both design and scale. DirectX 11 is also a new feature to the series, increasing visual fidelity greatly. More than just the design of players, animations have been improved dramatically. Through the use of Creative Assembly’s motion capture studio, players will now move a lot more realistically. Very important is a stated improvement in AI. This will dictate how players will act on and off the ball. Goalkeepers have also had a focus played on them, meaning they should act and move more realistically than in previous titles. Of course these are only some new features to be found in Football Manager 2018. Other aspects have been revamped. These include Tactics, Fantasy Draft and Transfers, contracts and more. More have yet to be announced prior to release on the 10th of November. Stay tuned for more information and our review.